I’m so thrilled to announce that I was recently signed to The Blogger Agency! This is a huge step for me and I can’t wait to get started on new ventures with them! 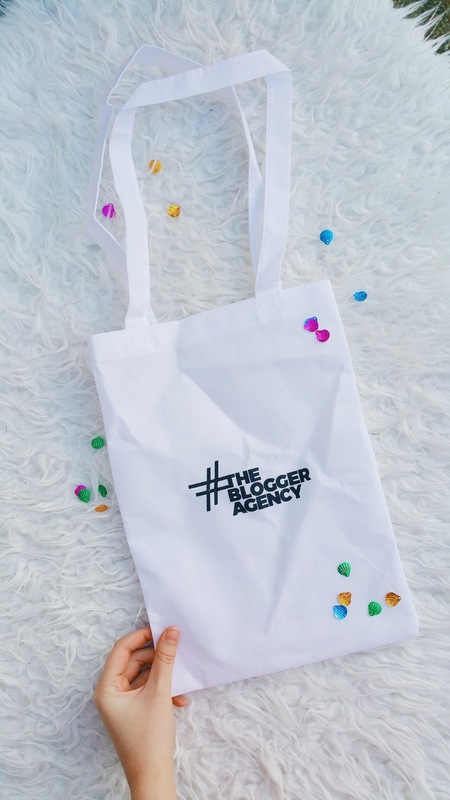 The Blogger Agency connects brands with all types of influencers such as bloggers, vloggers and YouTubers. Not to mention, I joined at such a great time because today is their official social media launch! To mark the occasion bloggers around the globe are marking the occasion by writing a post on how it is important that bigger companies and brands pay us bloggers for our work! I myself, although blogging is not my full time job, dedicate a lot of time and effort into my blog, YouTube and social media sites. It takes up all of my spare time, and a lot of time I should really be spending on other things like University work and even house keeping! I let it take over my life however because I love it! I am happy to blog the day away, all day, every day! However, it doesn’t matter how much I love it, want it or even how much time and effort I put into my blogging work, ‘pay’ from companies for little bloggers like myself is often very little or most of the time none existent! Personally this does not bother me so much as I love blogging and did not get into it for the freebies and money, but when fitting in so much extra work and effort between university and work I sometimes do feel that companies can expect too much for very little in return! A lot of people have the opinion that bloggers and YouTubers shouldn’t get paid for what they do, but as fellow YouTuber Shaaanxo explained in one of her YouTube vlogs, if she didn’t get paid for her weekly video reviews she would have to work full time and instead of her 10 videos she does weekly over her two channels she would barely be able to commit to one video a week! Therefore, the more companies expect from us, the more they need to compensate our time and effort! Hopefully, the more of us bloggers who join this appeal, the higher the chances of our voices being heard! Also, we may have created a world record as we are all publishing our posts together at 8:30pm on 21st September 2015! What are your thoughts on this matter? Should YouTubers and Bloggers be paid for their work? Or should the ‘freebies’ be enough? P.s. A big thanks to The Blogger Agency for the cute tote bag, amazing goodies and the fabulous new Ghost fragrance; it smells gorgeous!